with selfie LED light and cosmetic mirror. You can use it to take pictures in the dark or to make up. It also has SOS Flashing feature that you can use it too urgently. iPhone 4.7 inches, including iPhone 6, 6 S, 7. 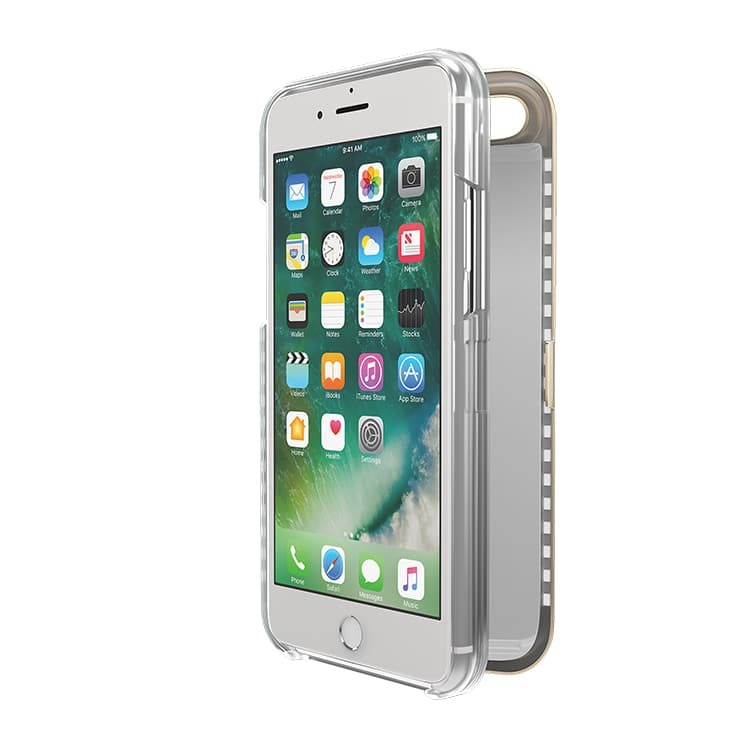 For iPhone 5.5 inches, including iPhone 6 plus 6 s plus, 7 plus. 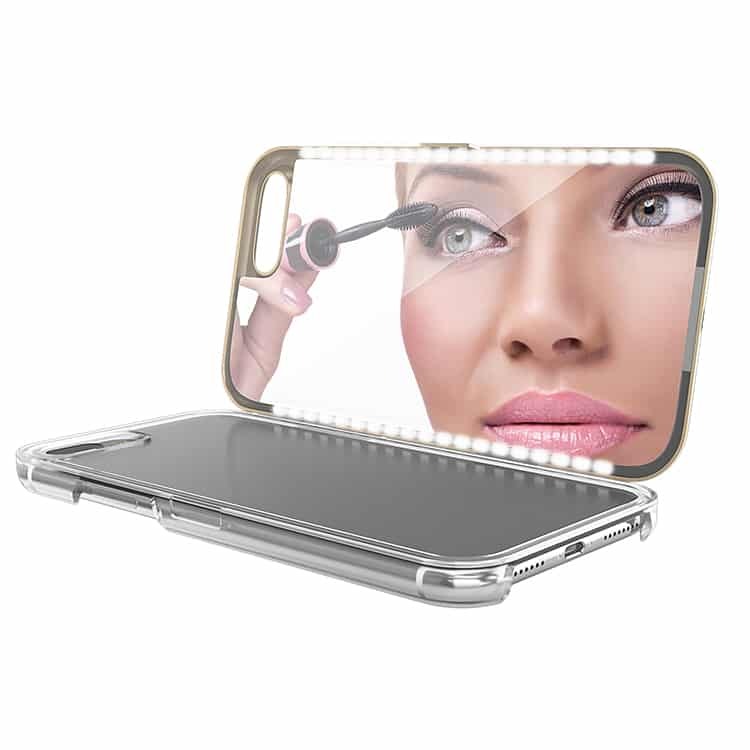 With built-in makeup mirror with light is a perfect shell designed with selfie LED light and cosmetic mirror. 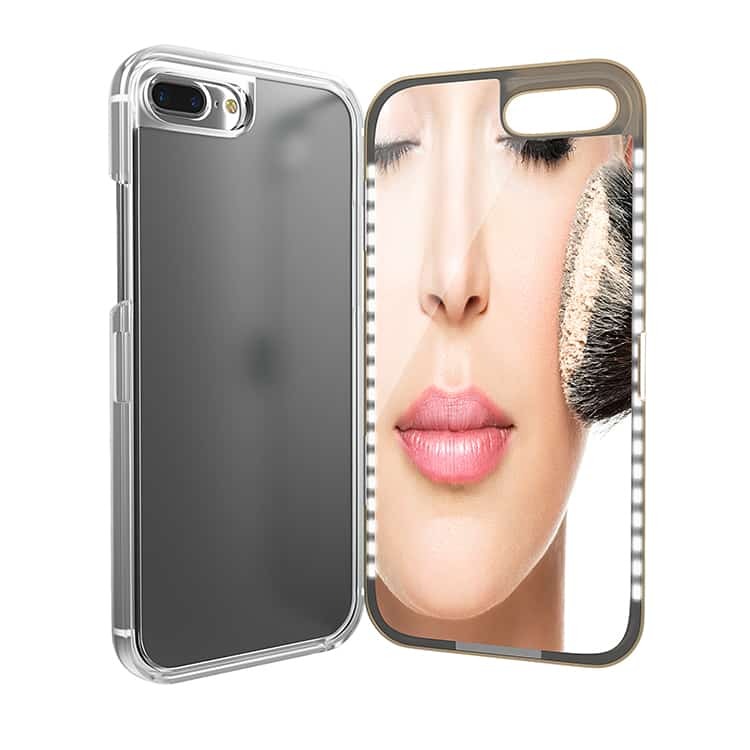 You can use it to take pictures in the dark or to make up. It also has SOS Flashing feature that you can use it too urgently. The mirror inside the door was always ready for the mirror with this amazing shell. Perfect for the party to make up or look at the hairstyle or the lipstick is right or just see how beautiful you are today. A: Quickly cut the button on the back to open or turn off the LED light. B: By pressing for a long time, you can adjust the intensity of LED light, from dim to light. C: Double press the acute fire mode button. 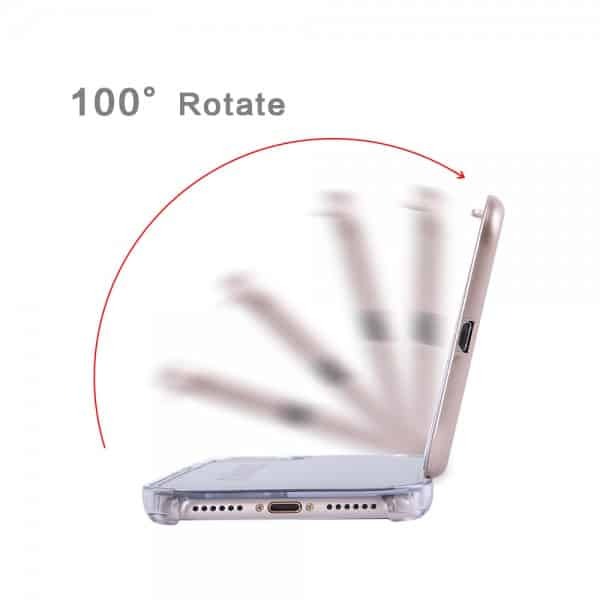 A micro USB cable is included in the package to charge the phone shell. 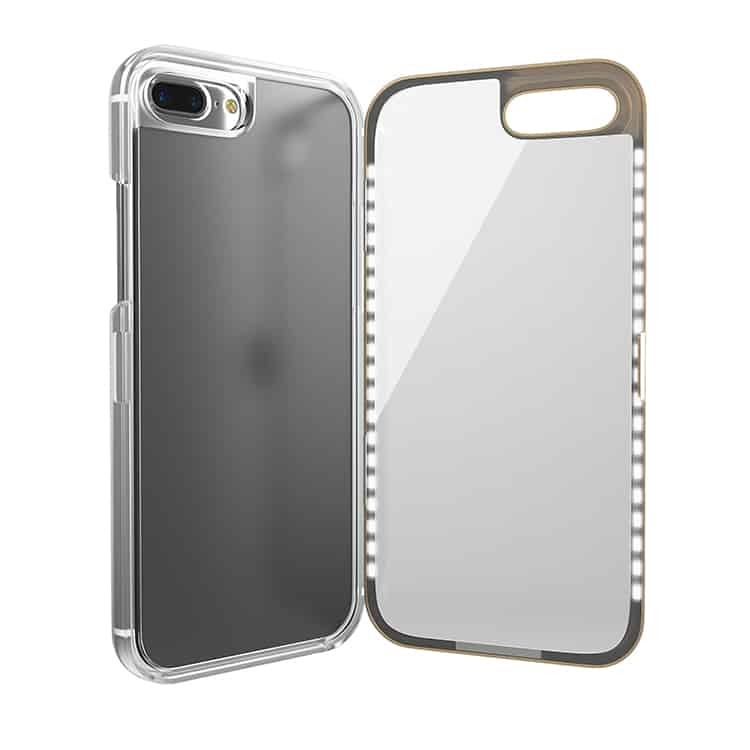 1 LED iPhone Mirror with light shell, USB cable.